Skulls and Bacon: You Can Own Cameron Frye's House! You Can Own Cameron Frye's House! If you have $2.3 million to spend that is. Obviously I'm veering off the skulls and bacon theme here but I had to post this as "Ferris Bueller's Day Off" is one of my all-time favorite movies. The scene where Cameron sends his dad's Ferrari crashing through the glass wall and into the woods is iconic. 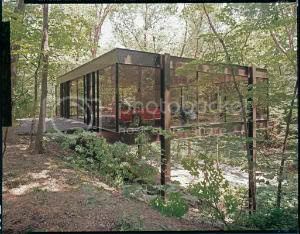 The Highland Park, Illinois house made famous by the 1986 movie "Ferris Bueller's Day Off" is for sale. 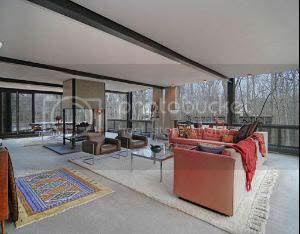 The most famous feature of this architecturally stunning, art-filled, 5,300-square-foot house is its steel and glass "pavilion" that hangs over the ravine. The pavilion contains a wall of memorabilia dedicated to the movie, including pictures of actors Matthew Broderick and Alan Ruck taken during the filming. The owners were avid car collectors and the space is still used for special car events, such as a Ferrari Club meeting held there last weekend. More pictures of the house are here. Ferris: [describing Cameron's house] The place is like a museum. It's very beautiful and very cold, and you're not allowed to touch anything. Ooh, Phairhead beat me to it! That's so rad! Who doesn't love that movie!? Bacon Salt Sale @ Amazon - 1 DAY ONLY!